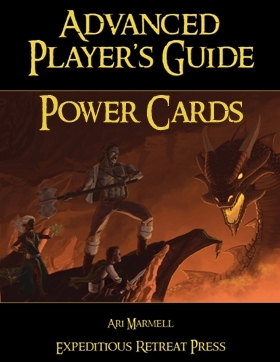 Advanced Player's Guide Power Card Pack contains all the new powers found in the Advanced Player's Guide, including racial powers, class features and powers, and paragon path powers. The color-coded cards are 2.5 inches wide and 3.5 inches tall, sized to fit card holders for easy storage and durability. Each card contains a blank notes section, where players can tailor the powers to their character. While most powers fit on a single card, some of the longer powers spread across 2 or 3 cards and are noted both on the bottom cards and the tops of subsequent cards. 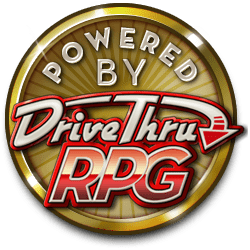 While the majority of powers used in crafting the classes are contained in this product, we were not at liberty to reprint in full powers from the 4th Edition Dungeons & Dragons Player's Handbook. For a more complete view of the races, classes, and paragon paths, pick up your copy of the Advanced Player's Guide, available in print and PDF. This title was added to our catalog on October 16, 2008.